Our last night of kakapo training was quite exciting. A three year old bird who had been hand raised several years ago had discovered a way to enter the large enclosure where the chicks are housed as they prepare for release into the wild. We think she was attracted by the chicks and food. This wild older bird generally does what the other kakapo do and is rarely seen unless sought out by rangers for a health check. As the three chicks were being fed, she actually tentatively approached and accepted a few food items tossed on the ground near her. She also stepped onto the perch used to weigh the chicks when prompted. This would have been the same perch used to weigh her when she was a chick. This three year old bird who gets very little interaction with people was actually an important indicator of what is possible with the hand raised chicks and their behavioral management once released into the wild. This bird demonstrated that the pleasant experiences associated with hand rearing can have an impact that can help with future care of wild birds. 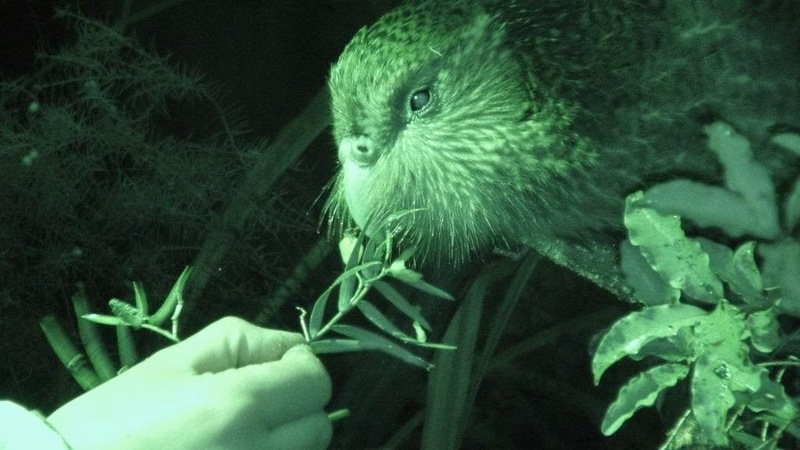 By targeting the specific behaviors we want the birds to do and actively training them during hand rearing, there is a very good chance they will present those behaviors when needed in the field, yet still remain very much a wild kakapo. At this stage the chicks have learned a number of important behaviors for their health care and for making it easier to check on them when roaming in the wild. Now it is just a matter of maintaining them as they transition to the wild. Needless to say all three kakapo chicks Lisa 1 (from the taped egg), Rakiura 2 and Heather 1 were wonderful students. They were always eager to participate. Each has their own personality. Little Heather1 is bold, always moving and almost always the first one to realize someone is in the pen. Check out this clip of Heather 1 and Rakiura 2 in a tree at sundown. Lisa 1 is more laid back in general. He is the oldest of the three chicks. He and Heather1 have been very quick to learn behaviors that require them to think a bit about what actions they are doing that earn them desired consequences. Rakiura 2 is an equally good student but excels mostly at things that require manipulating his body. He was a superstar when it came to allowing us to put on his transmitter without any restraint at all. He sat calmly through the entire 11 minute procedure. He also seems to benefit from watching Lisa 1 for behaviors in which he has to do something to earn the reinforcer. 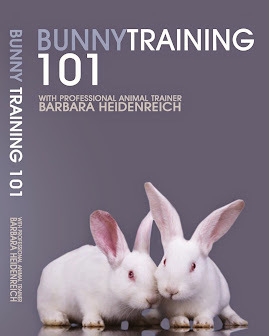 members more opportunities for training sessions and reinforcement of desired behaviors. As the chicks mature, they will be checked less frequently. This will be the when we find out if the training has paid off as we hope. Maintenance of some of these behaviors may mean very infrequent reinforcement opportunities. However as our three year old visitor last night demonstrated, this may not be a problem at all. I will be looking forward to reports from the rangers on how the birds transition to the wild and how well they maintain the behaviors they have learned. There will be much more to learn and discover as we implement this plan in the next few years to come. Stay tuned for future updates! 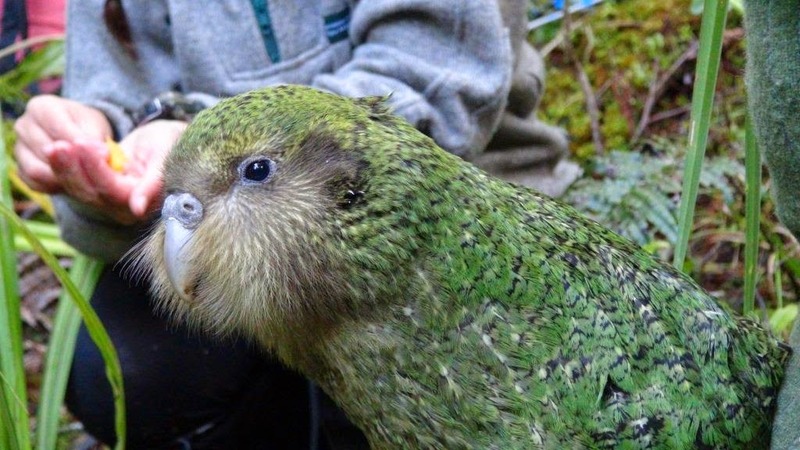 Learn more about the Kakapo Recovery Program here. Conservation projects are all about saving wild birds, the emphasis of course being on the word “wild.” Training tends to conjure up images of pet birds and cute tricks and seems on the surface quite contradictory to keeping birds wild. However conservation involves more than breeding and releasing birds. Behavior plays an integral part. In recent years zoos have zoomed in on training and addressing behavioral needs as an essential part of caring for animals. I see the same thing happening in conservation. More conservation projects are looking into how behavior and learning experiences influence achieving their goals. 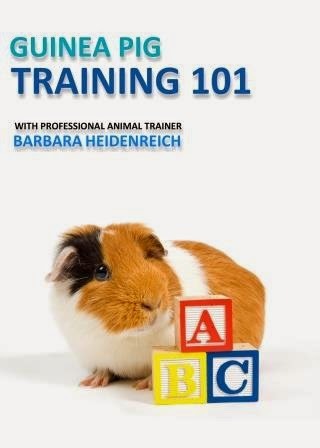 There are many ways training can facilitate projects. When we put field biologists and trainers together we discover the needs. And in reality whether we acknowledge it or not, birds in conservation projects are learning all the time. Why not add some structure and specific behavior goals to that learning to help the project succeed? The Kakapo Recovery Program prior to me volunteering my services had already been utilizing training to facilitate their work. Even though the birds live freely on a protected, uninhabited island and forage naturally, they do receive supplemental feeding at hoppers. Each hopper has a platform. Sometimes that platform is a scale. Hop on the scale and the bird can access the hopper for a snack. Guess what? That is training! Right next to the hopper is a device that reads the transmitter of the bird and records the weight. 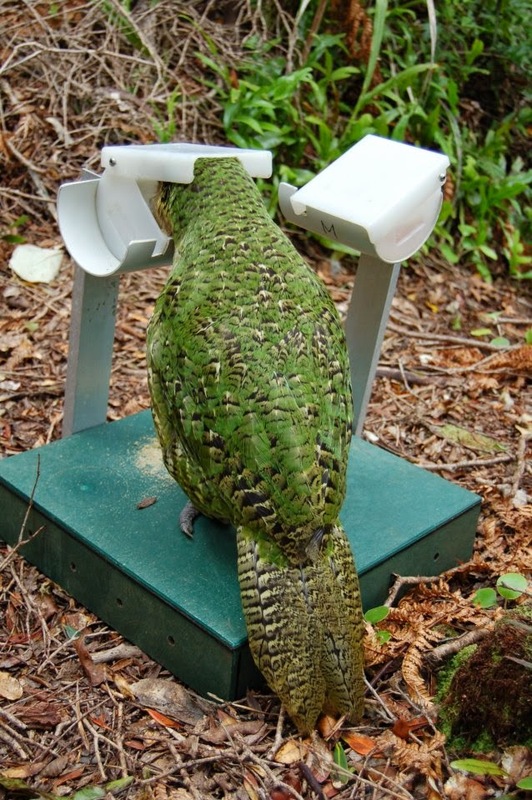 In other training Rakiura and Sirocco both learned to go through a cat door to enter enclosed feeding stations that were designed to keep other native birds out. All this is done without a human anywhere in sight. And technology keeps getting better. 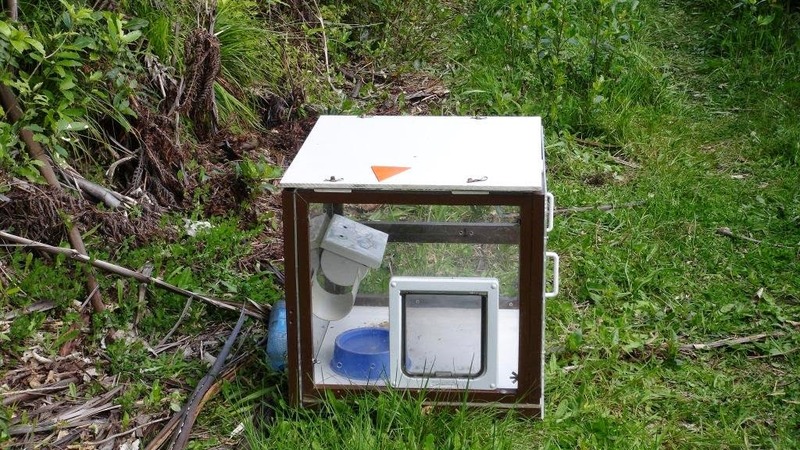 This leads to ideas to reduce stress in catching up wild birds for health checks using both technology and training. In my opinion this is just the beginning of ways we can reinforce desired behaviors remotely. And we are brainstorming more ways to do just that with kakapo. There are three chicks that needed to be hand raised this year due to various challenges (cracked egg, weight loss, health issues) Ideally it is preferred that a female kakapo raises the chicks, however in some cases it is just not possible in order for the chick to survive. And at this stage, all chicks are very precious. All three chicks will be released into the wild on protected, predator free islands. 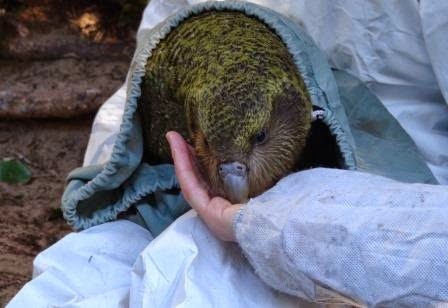 The Kakapo Recovery Program has successfully released at least 30 hand raised birds. Interestingly kakapo seem much more “hard wired” than other species of parrots. When hand-raised with other kakapo they tend to revert to natural kakapo behavior rather easily once transitioned into the wild. (Sirocco was raised solo due to an illness, which is believed to be a big part of why he has a strong attraction for humans over other kakapo) Because the three chicks are being hand raised they are in general more receptive to humans at the moment, but as they mature and segue into the wild we expect that interest to decrease, as evidenced by birds in the past. At this stage this comfort level with people provides an important training opportunity. These chicks are in a critical period of development in which they are open and receptive to new experiences. Anyone who has had a baby parrot in their life will be able to relate. Young birds will often let you do just about anything to them. Once they mature that open and receptive attitude tends to go away and the once sweet baby parrot starts objecting to being manipulated by biting or running away. To avoid this, good things like hand feeding formula, favorite food items and enrichment can be paired with anything you are trying to do with a young parrot, such as restraint training, wing manipulation, etc. This can have long lasting effect into the future and can teach a young parrot that handling is associated with good things. Each bird in The Kakapo Recovery Program is carefully monitored on a regular basis. This involves, at a minimum, hour long hikes into the forest over difficult terrain. One of our main goals is to help make health checks and transmitter changes a stress free process. Kakapo just like companion parrots usually don’t appreciate being captured and restrained. One of our goals is to train these young chicks for these procedures so that when health check/transmitter change time in the field comes around it will be as pleasant as possible. The idea is that the birds will lead their wild lives as normal and occasionally a ranger will visit for a stress free health check or transmitter change. This focus on training at just the right time in a young bird’s life can help make future care and specific procedures pleasant. However someday in the future the hope is for the population to become large enough that such intensive monitoring and care of each wild bird and chick won’t be necessary. The population would be stable and self-sufficient. Unfortunately we are not there yet. So for now training any birds we can to make their care as stress free as possible is a big plus. Keep your on eye on my blog for more updates soon! 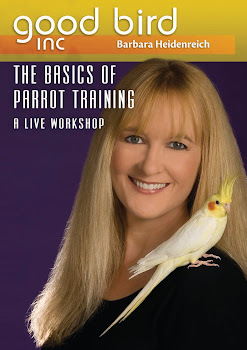 One of the cornerstones of animal training is to set your environment so that it is easy for your parrot to do what you want. This often means arranging your props just right, having a stash of the perfect training treats and making the set up comfortable for both you and your bird. 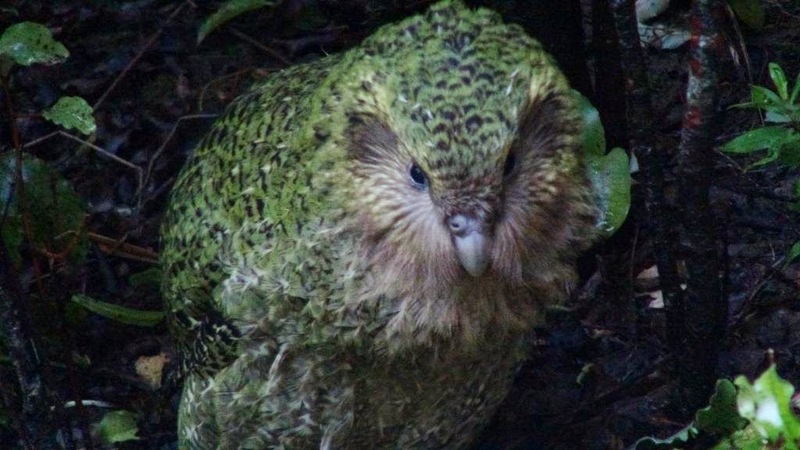 As I am writing this I am on a remote island in New Zealand working with rare kakapo parrots. We are training three of this year’s chicks to cooperate in medical care and transmitter changes, among other things. 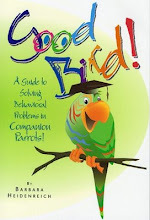 Just as I would with a companion parrot, we are trying to create a great training environment. But working here has presented a few out of the ordinary challenges. 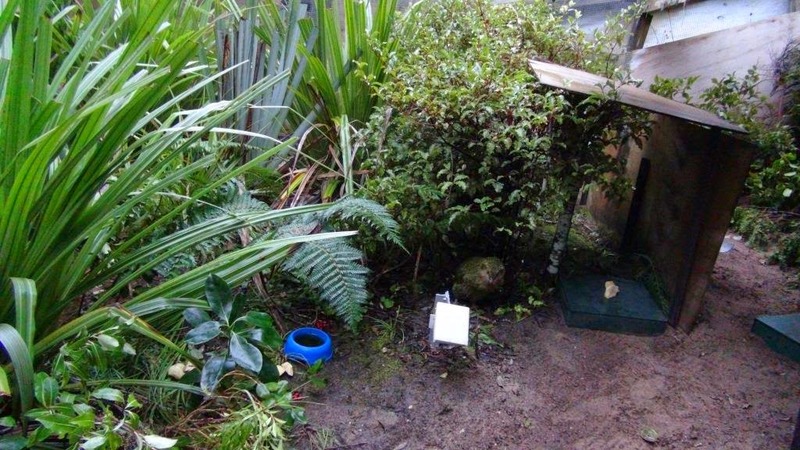 The chicks live in an outdoor enclosure because they are being prepared to transition into the wild. Outdoors in New Zealand this time of year means temperatures mostly in the 30’s and 40’s F (-1 to 4 C). It is also quite rainy and muddy. This is all normal habitat and conditions for kakapo, so they are completely at home with such conditions. Humans on the other hand need to bundle up and plan to get wet and dirty. Kakapo are also nocturnal and the chicks need to sleep in the daytime, so the bulk of the training sessions happen in the dark. We can use head lamps when training, but it is better to keep them on dim or green so as not to make the birds uncomfortable with bright lights. This is another adjustment for the humans to make sure the birds are receptive to training. 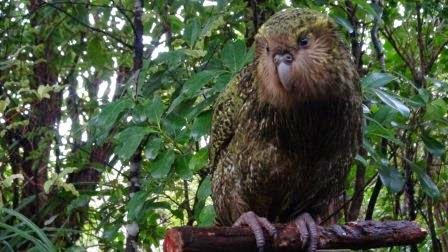 Kakapo are nocturnal. Training sessions happen at night. The current enclosure has a low ceiling, sloping ground and is currently mostly covered in lush vegetation. 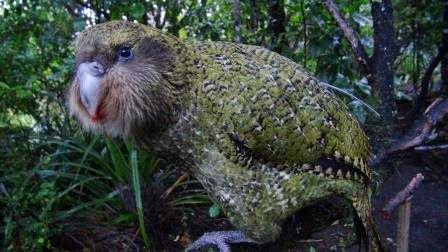 This is great for kakapo! A little tough for training though. There isn’t really an easily accessed space for trainers and birds to comfortably hang out. Plus for added bio security for the chicks, we must dress in big white coveralls and specially designated boots before entering the pen. On the positive side, the suits help keep us warm and free of mud on our clothes. Many of these training challenges aren’t a big problem to overcome. They are just a bit of a nuisance to humans. And fortunately some will go away because the chicks are moving into a larger enclosure to prepare for release. We have already set up a training area in the larger pen. This will allow us to work on a number of behaviors on a flat surface, away from mud and while standing up. We will also have the room to practice some behaviors that take more space, like recall and climbing down to us when cued. We are excited about this upgrade! One challenge that we are thankful for is that we have three very motivated students. Typically all three chicks are ready to engage in a training session when we enter the enclosure. On the other hand, it also means managing the behavior of three birds at once. Unlike muddy, dark, cold conditions, this is a problem other parrot enthusiasts may be encountering with their own birds. Sometimes training involves working with several birds at the same time. What has been working for us is to get started training one bird and reinforce the other two birds for staying out of the way. Once the first bird begins to satiate on favorite treats, we can redirect him or her to other activities and focus on another bird. Sometimes all three stay engaged and other items besides food, such as interesting browse or items to chew on, can be used to keep birds occupied and reinforced for staying out of the way. Today is the day the chicks get their telemetry transmitters fitted. The device rests on the back and is held in place by a specially designed harness. We have put in some extra time on training for this behavior and anticipate it will go smoothly. Once this task is accomplished the birds will be moved to the big pen and our training will get a bit more intensive. Stay tuned for more blogs on the chick’s progress. I am currently in New Zealand working with the Kakapo Recovery Program once again. Sirocco is doing fine and is happily roaming his own Island. This time the focus is on this year’s chicks that are living on Codfish Island, a very special private island close to Stewart Island. I have only been here a day, but already I can’t help but take note of the kind of work and commitment that goes into this conservation project. Clearly “good enough” is not satisfactory here. What I have already observed is a level of commitment and work ethic that exceeds what you might expect in the average workplace. These folks live, breathe…maybe even ooze conservation. The work day starts with a kind of plane ride most of us have never experienced. The commute occurs in a small 5 seat plane that lands on the beach. The pilot first makes a thrilling swoop over to make sure the “runway” is safe for landing. I must admit as a nervous flyer I was bit apprehensive. But in reality it was more like a thrilling roller coaster ride. Check out the video clip of the first landing on Stewart Island to see what it is like. This isn’t a daily commute, just a drop off. Some stay weeks. Some stay months. And this is another part of the commitment. Life on the island isn’t glamorous and work doesn’t happen only Monday through Friday from 9-5. Kakapo don’t take days off and neither does the team. And remember kakapo are nocturnal. This often means loooong night time hikes up muddy hilly terrain in the cold to check on individuals. And this is exactly what happened my first night. We needed to check on two of the chicks that were being raised by their mothers. The chicks have already left the nest, but do stick close by, as does mom. The rangers knew where to go. 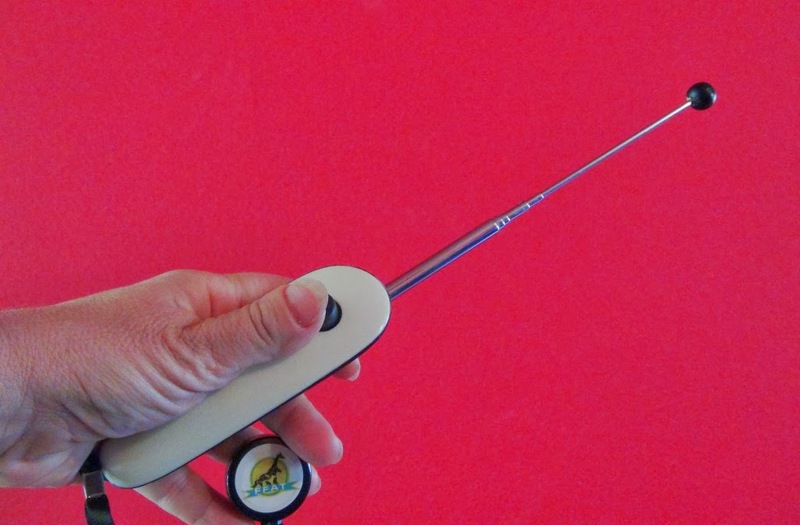 Once near the nest, telemetry is used to pin point the chick who is already wearing a transmitter. The first chick Heather 2 hardly gave us a chance to check on her, only peering out from behind a tree. But it was easy to see she appeared to be alive and well. The second chick was found near his foster mom Esperance. Her nest was the one featured on the streaming live camera. In fact we found Esperance first, sitting calmly and quietly in a tree. Thinking she was one of the chicks we were hoping to train, we ventured close enough to offer a pine nut. The bird actually gently took two nuts, before we realized “That’s mom!” The chick Rakiura 3 was nearby and the rangers got onto the task of checking his transmitter for appropriate fit. One of our training tasks for the wild birds is to work on ways to reduce or eliminate stress with capture and restraint for health checks and transmitter changes. These birds are not pets, nor are they meant to be, so this type of training challenge requires some special consideration. While we want them to allow us to approach, we don’t want them seeking human contact in general. This first night out was a chance to see how they normally react. Overtime we plan to implement some strategies to help achieve our goals. Back at the accommodations, the three hand raised chicks, Lisa 1 (from the taped egg), Rakiura 2 and Heather 1 also got started on training. All three birds are currently living in a large enclosure that is being used to acclimate them to living in the wild. The three birds will all be trained to make care in the wild easier. We already saw good response during our first two training sessions. Here is a short clip. I will share much more on these three in the next blogs. This was all in just the first 24 hours. The night time hike was cold, hard (for me) and long (4 hours) yet the rangers spent the time required to make sure Rakiura 3 had the perfect fit on his telemetry transmitter. And when it was time to leave Rakiura 3, one ranger raced back through the bush to make sure the hand raised chicks could get a late night feed and was up again bright and early the next day for another feeding and our first training session. 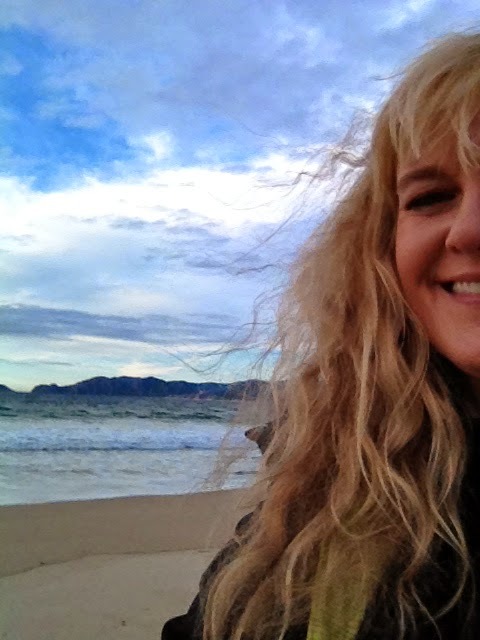 My first impressions…..we are in paradise. But this is no vacation, this is extremely fulfilling work that is implemented by very dedicated people. And to them every chick (and adult kakapo) is very special indeed. 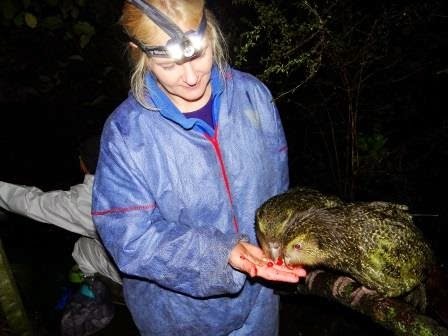 Follow my blog for more updates on our training of the kakapo chicks.